Living artfully. Join me in my photographic journey as I explore the realms of fine art, travel, portraiture and architecture. It would be completely fair to say that I am a little behind on a couple of posts to do with two workshops I attended earlier this year. It went radio silent here on my blog over the summer, and only recently with my trip to Italy did activity here pick up again. Truthfully, there has been lots happening – however, primarily on an internal level – and its those internal types of revolutions that always take time before they’re ready to be shared with the world. Back in mid-June, I attended A.R.T., “Artist Round Table”, hosted by Ray Ketcham and Sabrina Henry in Port Townsend, Washington. I knew Sabrina Henry before attending – we met earlier this year through a common friend prior to my embarking on safari in Kenya. The remainder of the participants I knew only through social media contact on Twitter. It was a real pleasure to meet everyone face to face as I knew instinctively that this was going to be a very good group. We were a wonderful motley crue of skills, interests, and creative focus. A.R.T. was not a typical photography workshop per se. Rather, it was a weekend long conversation – the premise being to discuss and work on discovering our visual voice, in our creative endeavours, specifically – photography. It was conversation from the minute we met until we parted and, in-between, there were presentations from Wes Cecil and David Noble. Both locals in Port Townsend, David and Wes came from other creative mediums outside of photography, and they shared what they knew about being a creative and speaking from your authentic voice. I had begun the work in exploring my artistic voice in my photography work in the recent year. I also have experience working with other mediums – painting and writing – as other outlets of creativity. So, when Sabrina and Ray introduced this weekend conference, I welcomed the opportunity to participate as I was both determined and excited about shedding more light in this area for myself. Despite my impatient nature and the frustration I have felt in wanting to just throw out a post outlining my experience from my weekend at A.R.T., this process hasn’t been something I have been able to use my sheer determination to push along like I am used to doing most other things in my life. In fact, if art and photography has taught me anything in this experience, it’s patience and slowing down. So, this post has morphed several times over 5 months while I have endeavoured to put this experience into words. Truthfully, I don’t think I’m “there” yet – even still. This is about process…specifically, ongoing creative process. One of the discoveries at A.R.T., like it was for the other participants, was the sense of community we found with each other. Being together with other like-minded creatives and sharing our dreams, doubts, and being openly vulnerable in a safe and intimate space, was a liberating experience. This environment helped us all dig deeper into our craft – much deeper than we’d ever explored previously. Each of us had our own unique breakthroughs, insights, and personal revelations along very different paths leading up to them. It was both humbling and inspiring to witness and be a part of. The other participants at A.R.T. have shared their own experiences and thoughts on their blogs prior to me – you can check them out HERE, HERE, HERE and HERE. For myself, one of the most revealing and powerful exercises we did on discovering your visual voice was in David Noble’s studio. David works within several different mediums to express himself – he is an author, Bhutto dancer, and painter. It was during his Bhutto dance performance that we were permitted to take ONE photograph during his dance piece – and we would discuss our image with the group afterwards. The power of this lesson revealed to me not only my visual voice but also the influences on my work, both of which I had struggled to “see” and understand in previous discussions. After seeing my portfolio prior to the workshop, Ray said that I indeed had a very distinct “voice”, that I photographed in a very “painterly” style in my use of light. This lesson came to reveal itself to me in stages over a period of time after A.R.T. was over. Ray explained to me, right after the excercise, that the image I had shot for it reminded him of an impressionist painting – a specific piece from Degas. My use of light, the pose of the dancer, my exposure given the large windows at the back of the room. I couldn’t quite see where he got a reminder of an impressionist painting from – to me it wasn’t the least bit obvious – although to everyone else in the room it was. Now, I look back on this with a bit of a healthy giggle as I recall myself asking the group, “How do you see that?? ?”, in unison they replied “How can you not see it??”. I really was doing alot of “overthinking”, even though I felt fairly familiar with Degas body of work. I did my best to open up and explore where he was going – but I’ll admit, I really struggled – and at times felt borderline resistant. It wasn’t until I was at home a week or so later working on sketches for my art class, that I found my book on Degas and flipped through it. 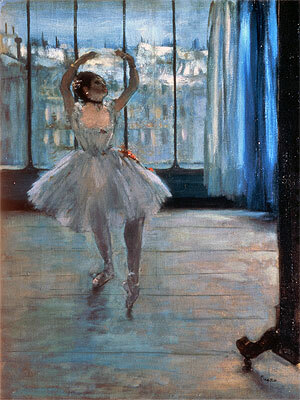 There, I found the painting Ray had referred to – this was one I had obviously missed from Degas’s body of work – the resemblance moved me to tears. I got it. I was admittedly stunned and overwhelmed as I began to process what Ray and the group had said at A.R.T. 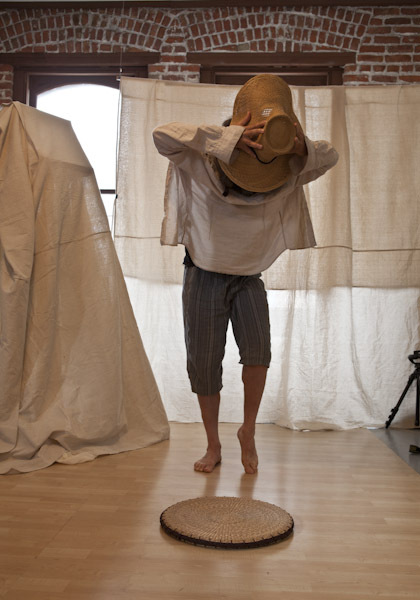 I took a sense of community and began in earnest to understand the influences in my work from A.R.T., but the real learning and “work” in uncovering a better understanding of myself and my voice as an artist since the workshop, has been and will continue to be an ongoing process. A.R.T. actually raised more questions than answers for me. One of the biggest questions posed to us during that weekend was “Why photography?”. “Why do you spend so much time doing it?”, “Don’t you have anything better to do with all that time?”. These are questions I haven’t been able to answer with any definite clarity. At present, I may not have specific answers for all of the questions that have come up, but what I have found is that the questions and living within those questions are more important. Living within the questions as I continue on my journey in photography opens up more resources that allow me to further explore who I am as an artist, photographer, and human being. The questions themselves may not be something to be solved or answered but, rather, lived with, and that “living-with the questions” and the curiousity is in fact a form of answering. Working from this place, takes you deeper and deeper into your craft and in life. Now, creating images or “making stuff” as Ray says, is from a standpoint of learning how to express what you want to say in your art – and it then comes straight from the heart. It’s about the journey, not the destination. A.R.T. has definitely been a turning point in my creative life. A very powerful one. I still have many hard days in the process of creating my work, being an artist is not easy, as anyone on this path knows. But now, I am working through those times with a heightened sense of awareness, and a much better understanding of my creative process, which always brings me to higher ground in my learning. Through A.R.T., I have a community of compassionate, generous, intelligent friends who are there to listen, encourage and support when the going gets rough. I know they’ve got my back, and I’ve got theirs. For this, I remain deeply grateful. Thank you, Ray, Sabrina, Stuart, Chris, Anita and Matthew. 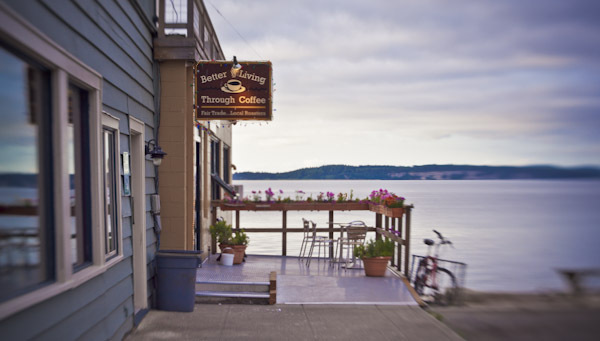 This entry was posted in Uncategorized and tagged A.R.T., art, Photography, Port Townsend, Visual voice by Ellie Ericson. Bookmark the permalink. Thanks for this post and congratulations with ART and your learning’s from it! I am also just dabbling in writing – a career change from sales for many years! And I love it. I recently received a gift: my first DSLR camera. And I used it today. I have always loved to photograph with a point and shoot, though this was so much fun as it made me appreciate details a lot more. I applied the three questions that you were asked in ART, to myself. It’s a very enlightening process! I believe that when we find our passion in a craft…it’s the path we travel in finding enlightenment about being human and just living life…the two become inextricably combined as you go deeper into it. Keep asking the questions…and live with them…as you say, it’s a very enlightening process. The skill of photography is such a gift and you have a wonderful portfolio of photos. You’re already on the road to a full time career! Good luck with the photography – looking forward to more of your posts!